Undated photo of Vice President Mike Pence. Presumptive Republican presidential nominee Donald Trump is expected to meet with Indiana Governor Mike Pence this weekend. The meeting comes on the heels of a report that Pence is "in play" for a possible vice presidential selection on Trump's ticket. 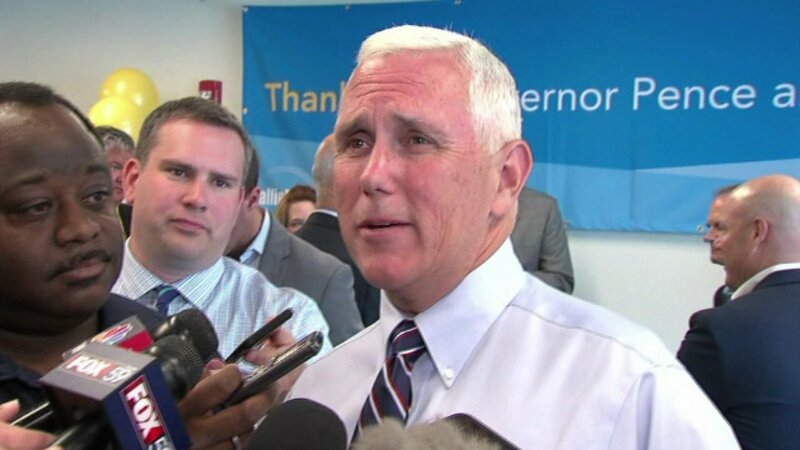 Pence has not said if he would accept the nomination. New Jersey Governor Chris Christie and former House Speaker Newt Gingrich are said to be top contenders. Trump could announce his running mate before the Republican Convention starts July 18.